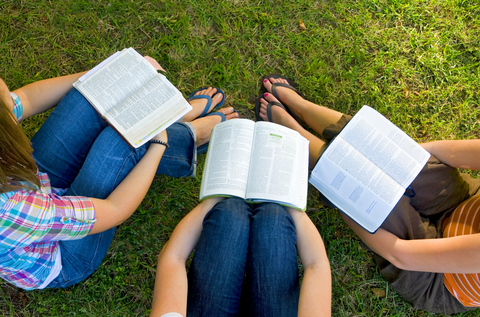 Small groups are an important part of an effective student ministry. They are important because they move students past just showing up at youth group every week and listening to you teach. Small groups move students to a place where they can better develop community with their peers (and an adult leader or two) as well going deeper into God’s Word. 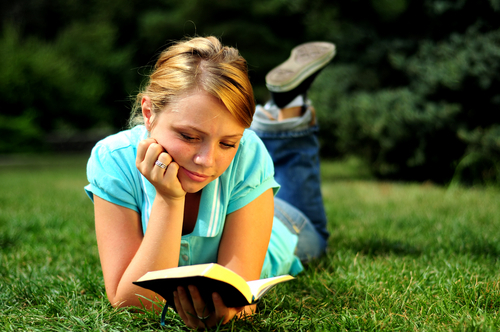 These two factors, community and Bible study, will help them grow in their faith. This is what we want as student pastors. We want students to develop community and dig deeper into God’s Word. So we make small groups a part of our student ministry. But how do we structure those small groups? Do we do them in homes? Do we do them within our mid-week or weekend gathering? Do we make them something for every student or just students who want to go deeper? These are all good questions to ask when thinking about how to structure small groups in your student ministry. This past year we restructured our small groups and are planning to tweak them yet again this coming year. Because of this I have been doing a lot of thinking about how small groups are structured in our student ministry. I have also been talking to other student pastors about how they structure small groups in their ministry. There are many different ways you can structure small groups. There is not one perfect way. Every student ministry looks different and small groups will look different in every ministry. However, I have seen and be a part of three different structures of small groups in student ministries that I believe are effective. Let me share those with you. Small groups in homes of adult leaders outside your normal mid-week or weekend program. This by far is the most popular way to structure small groups in your student ministry. Basically students meet in small groups in leaders homes throughout the community. It could be on the same night or different nights. Leaders open up their homes and the students in their small groups meet there to build community and study the Bible. This happens outside your normal “youth group night.” The positives to this structure is that small groups are there as a “next step” for students who want to go deeper. You don’t force students who may not be Christians or that are not ready to go deeper into a small group. Your large group gathering serves as a place for non-Christians to feel comfortable and hear the Gospel. Also, this structure helps students feel safe and comfortable as they meet in a home. Plus, adult leaders get to display hospitality and fellowship by opening up their homes to students. The major downside of this structure is your asking students to give up another night of the week. They are already coming to your large group gathering and now you ask them to give up another night for small groups. For busy students this may be difficult and keep them from getting involved in a small group. Small groups every other week in place of your mid-week or weekend program. This is the structure we are currently doing with our middle & high school students. We are actually moving away from this and going to in homes outside of our large group gathering for high school students next year, but keeping it this way for middle school. This is a great structure if you want to see all your students be in on a form of small groups. Basically small groups happen every other week in place of your large group gathering. You can have them come to the same place you meet for large group and then just have them split up into groups or you can have them meet in homes at the same time you would meet for large group. Either way, small groups happen on the same night/time of your large group. This is a great way to not make your students give up another night. It allows you to accomplish both large & small group ministry in one ministry night a week. The downside to this structure is you may scare away non-Christian students who don’t want to be in a small group yet. Also, your students may not want to invite their non-Christian friends because they know they will be split up into small groups and it may be uncomfortable for them. Small groups every week as part of your mid-week or weekend program. Basically you make small groups a part of your large group gathering. Most student ministries that do this will have small group following the teaching time so students can discuss what they just heard. Again, this is a great way to not make your students give up another night. Also, it helps every student get a form of small group ministry. I like this structure because it allows students to instantly discuss and talk about what they just heard. The downside with this structure is that you usually don’t have a ton of time for small groups so it may not accomplish the community goal of small groups. Also, students are only discussing what they heard instead of actually digging into Scripture. There are a ton of other ways you can structure small groups in your student ministry, but these are three I have seen that are effective. How are small groups structured in your student ministry? One of the most important aspects of any event is promotion. Promotion will make or break your event. This is especially true in student ministry. You can plan the most epic event ever, but if you don’t promote it well it will fail. Effectively promoting your student ministry events will help make them more successful. I want to share a few tips for promoting your student ministry events to your students. Use social media. When it comes to promoting events for your students always use social media. Students are already on social media so if you promote events on social media sites they will be sure to see it. Facebook events are a great resource for this kind of thing. Great way to invite students to events via Facebook and also a great way to quickly share the event so students can see it on their timelines. Twitter and Instgram are also great places to promote your student ministries events. I usually tweet about an event every few days leading up to it. I also have been using apps like Over to create Instagram pictures to promote our events on Instagram. Send out a mass text. If you don’t have a tool for sending mass text messages out to your students than get one asap! I use Group Text! for iPhone to send out mass text messages to our students. Whatever tool you decide to use, make sure and promote your events via text messages. Send out a mass text a few days before an event to remind students about it. Create postcard sized handouts. For every event we create a postcard sized handout that has a well-designed graphic for the event and all the details students need to know about it. We usually start passing these out a few weeks in advance at our mid-week gatherings, church services on Sunday, and whenever we are out and see students. Also, this is a great way to get students to promote events themselves. Give each student a stack of postcards and let them go pass them out at school or in their community. 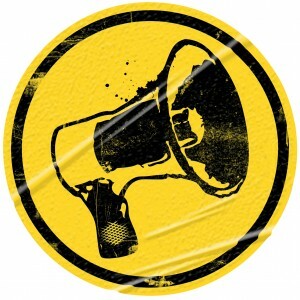 Have a creative announcement time during your mid-week or weekend gatherings. Don’t overlook the importance of promoting upcoming events on a weekly basis as part of your mid-week or weekend gatherings. However, be creative in how you promote events during the “boring” announcement time. Don’t just get on stage and tell them what’s coming up. Do a video or something crazy to get there attention and make the event stick. These are just a few ways we promote events that will work well for your ministry as well. Remember, promotion is one of the most important parts of making an event go well so put energy into promoting it effectively. Last week I wrote a post about why you should do interviews with students that want to go on your student ministry mission trip. Interviews with students that want to go on your trip helps you set a serious tone for the trip, evaluate where they are spiritually, and allows you to get to know them better. If your going to have effective interviews with your students than you need to have good questions planned going into the interviews. You want to ask questions that help you evaluate the spiritual health of the student as well as get a feel for what they will bring to the team of students going on the trip. I want to share with you the five interview questions I asked each of my students that signed up to go on our upcoming summer missions trip. Tell me about your experience in coming to faith in Christ? What are you currently doing to grow spiritually? What motivated you to go on this trip? I don’t claim these are the perfect questions, but they are questions that helped me see where the students where spiritually as well as get a feel for how they will fit into the team of students going on this trip. Even though you have five questions prepared, you may end up asking many more and that’s ok. 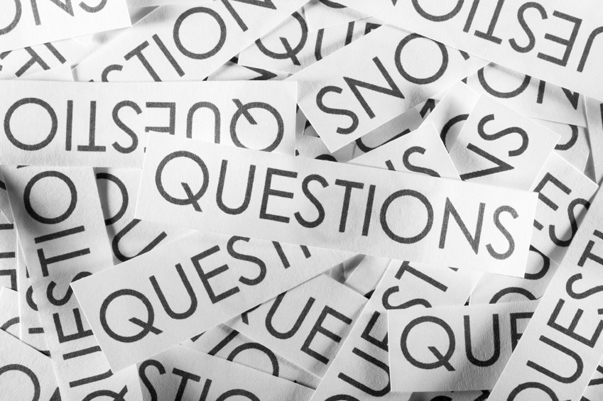 These questions are meant to bring structure and a smooth flow to your interviews. I hope these help you as you interview students going on your next student ministry mission trip.